The Chase Liquid Prepaid Card was launched nationwide in July 2012, and in August 2012 Chase’s mobile banking application became available to all Chase Liquid card holders. 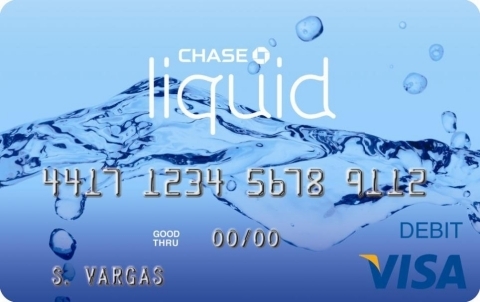 We talked with Jon Wilk, Consumer Banking Product Executive at Chase, about the Chase Liquid Card. Knowyourbank: What was the idea behind Chase Liquid? Chase: To provide a product that would add real value to the consumer while helping save them from fee heavy alternative financial services providers. We saw that there were 25 million unbanked and underbanked people using payday and check-cashing to handle their banking needs, these methods of banking charge consumers up to 10% of their checks and payroll and we felt like we could deliver a better solution to consumers. Knowyourbank: What differentiates you from other Prepaid Cards? Chase: We believe consumers should know what they are getting. We provide very clear disclosure on the fees that we are charging (Chase Liquid disclosure PDF – http://bit.ly/QWBcBz) . Following in that spirit, we have also simplified the general fee structure of a prepaid card with our Chase Liquid offering. Many prepaid card companies charge a fee of $3-$5 to load the card with cash, the Chase Liquid has no fee for loading the card with cash. Many prepaid card companies charge two fees for depositing checks, one fee to cash the check and another to deposit the cash into the card, the Chase Liquid Card allows you free check deposits in 4 ways. The 4 ways are remote deposit, direct deposit, deposit at a Chase Branch or a Chase ATM. We have an 18,000 strong ATM network and 5,500 branches which gives us a large nationwide footprint. We do not charge for use of Chase Branches and ATM’s when withdrawing cash, but there is a monthly flat service fee of $4.95/month. Knowyourbank: What are some Chase Liquid features that really stand out to you? Chase: The remote deposit and mobile banking features are very convenient for our Chase Liquid card holders. Our remote deposit, which at Chase we call QuickDeposit, allows Chase Liquid users to take a picture of the front and back of their check to deposit funds into their account. We also have a direct deposit option for the Chase Liquid Card which lets you automate your deposits directly into your account. Knowyourbank: How can someone get a Chase Liquid Card? Chase: The Chase Liquid Card can be opened at any Chase branch, all you need is a valid ID and a minimum deposit of $25. Knowyourbank: Is there anything else you would like to share with Knowyourbank.com readers? Chase: We want to be upfront with our customers, we don’t want there to be any surprises. That is why we have simplified the disclosure form, we want you to know the fee structure upfront. Knowyourbank: Thank you Jon for taking the time to share your thoughts and knowledge about the Chase Liquid Card. The Chase Liquid card is a great option for anyone that currently lives within the Chase network of branches and ATM’s. If you are currently using check-cashing services or prepaid cards that charge heavy fees or are not upfront with their disclosures then Chase Liquid should definitely be something that at the very least you investigate. Be aware if you are not in the geographic footprint of Chase branches and ATM’s you will be charged a fee of $2 every time you use a Non-Chase ATM. Note: Chase Liquid is FDIC insured ($250,000 limit) and can be used for purchases wherever Visa is accepted.